Grantmaking supported research, policy, and practical interventions to improve the lives of and protections for immigrants and refugees. From 1988 to 2016, we made 260 grants totaling $72 million. Migration grantmaking sought to improve the lives of vulnerable migrants while laying the groundwork for fundamental improvements in migration policy at the national, regional, and global levels. From 1988 to 2016, we made 260 grants totaling $72 million. This work yielded lasting advancements in migration policy and practice, including a strengthened network of migrant-serving civil society organizations in the U.S., Mexico, and Central America; increased protections for migrant children and families; greater access to legal services and recourse for migrants; and improved international dialogue on migration policy. Between 1988 and 2004, we provided more than $10 million for research and policy analysis on migration and support for refugee rights organizations, in part through Research and Writing Grants, which supported projects by academics, practitioners, and journalists. From the late 1980s through 1999, we also provided modest support to organizations engaged in promoting refugee rights. In the late 1990s, in response to the impact of the 1996 federal welfare reform law on low-income, elderly, and disabled immigrants, we supported the Fund for Immigrants and Refugees. In 2005, we launched an initiative on Global Migration and Human Mobility, with two main themes, Governance and Development. In this period, we supported non-governmental organizations' efforts to inform the Global Forum on Migration and Development (GFMD), a voluntary government-led process to advance understanding and cooperation on the mutually reinforcing relationship between migration and development. We offered support to the government hosts of most of the GFMD meetings, the civil society activities at each meeting, and the role of the United Nations Special Representative to the Secretary General for Migration, a key intergovernmental actor in this field. The GFMD was not designed to produce binding resolutions, but it fostered the development of new migration-related agencies and policies in many participating countries, and advanced a number of new bilateral and regional partnerships. We were also the primary funder of efforts leading to adoption of two codes of conduct that sought to reduce exploitation in the recruitment process of migrant workers. One is a Voluntary Code of Ethical Conduct for the Recruitment of Foreign-Educated Nurses to the United States, promulgated in 2008, and subsequently endorsed by a number of employers and professional associations. The second is the World Health Organization's Global Code of Practice on the International Recruitment of Health Personnel. The codes also focus on the home-country impacts of "brain drain" in the healthcare sector. In 2012, we launched a five-year program focused on U.S. Immigration Policy, the Regional Migration Corridor (of Central America, Mexico, and the United States), and Global Migration. Through this work, we sought to improve the lives of vulnerable migrants, while laying the groundwork for fundamental improvements in migration policy at the national, regional, and global level. In the United States, we funded rigorous and unbiased research and analysis on the costs and benefits of immigration to furnish a solid empirical basis for future immigration policy reforms. We supported the National Academy of Sciences 2016 report, The Economic and Fiscal Consequences of Immigration, which includes fiscal estimates for each of the 50 states. We also funded several organizations to analyze the economic and fiscal impact of pending legislation or policy proposals. In 2013, as Congress debated immigration reform legislation, we helped legal service organizations prepare to implement a new law or policy that could offer lawful status to millions of undocumented immigrants nationwide. When Congress failed to enact a reform bill, we continued to invest in the infrastructure for legal screening and representation, recognizing that many undocumented immigrants may already be eligible to seek opportunities to remain lawfully in the United States. We invested in innovative technological tools to inform and expand legal service delivery, and to initiatives to recruit and train skilled professionals in legal screening. We also sought to attract new constituencies to immigration reform efforts, and to offer tools to help frame the discourse of immigration policy debates in a constructive manner. In Illinois, we were a leading contributor to efforts to further immigrant integration, bolster legal aid capacity, and lift up the voices of business and civic leaders in support of improved immigration policy. Meanwhile, in 2011-12, unaccompanied children and families with children began to arrive at the southern U.S. border seeking refugee and other forms of protection at a rate much higher than in prior years, reaching nearly a tenfold increase by 2014 and remaining high through 2016. We responded to these developments by investing in empirical research to identify the causes of the increase in migration. We supported a number of efforts to maintain protections for child migrants under current U.S. law and to modify policies and procedures to enhance due process for children seeking humanitarian visas. 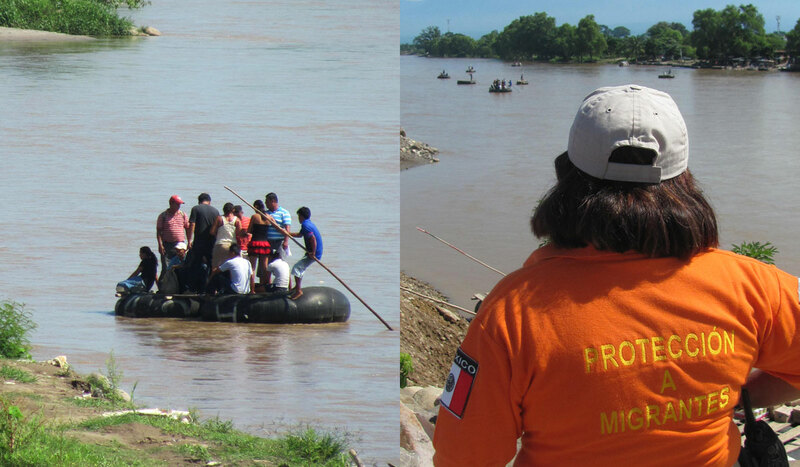 MacArthur-supported field research found that a large proportion of the children fleeing from Central America should be regarded as vulnerable forced migrants, forced to flee in order to escape threats of violence and forced recruitment by criminal gangs. Our unaccompanied minor initiatives were closely coordinated with the Migration program's focus on the Regional Migration Corridor, as described below. U.S. federal agencies adopted a set of systemic reforms to enhance protections for child migrants that were recommended by several grantees. These included creating child-only dockets on designated court days, a format that is more child-sensitive, especially for cases involving persecution or other traumas. In 2016, officials began to implement a framework for applying a "best interest of the child" standard in immigration cases, even though the consideration of best interests is not required under immigration law. And federal agencies funded pilot programs under which unaccompanied child migrants received court-appointed attorneys, a reform strongly advocated by grantees. While grantmaking ended in 2016, we made a small number of time-limited grants in 2017 that reinforced the strategies above in response to policy shifts at the federal level. These included an analysis of the economic impact of young, undocumented immigrants – called “Dreamers” – with temporary lawful presence and permission to work in the United States. Additional awards supported strategic planning sessions around humanitarian protections for refugees, unaccompanied immigrant children, and immigrants from countries that experienced war, violent conflict, or natural disasters. 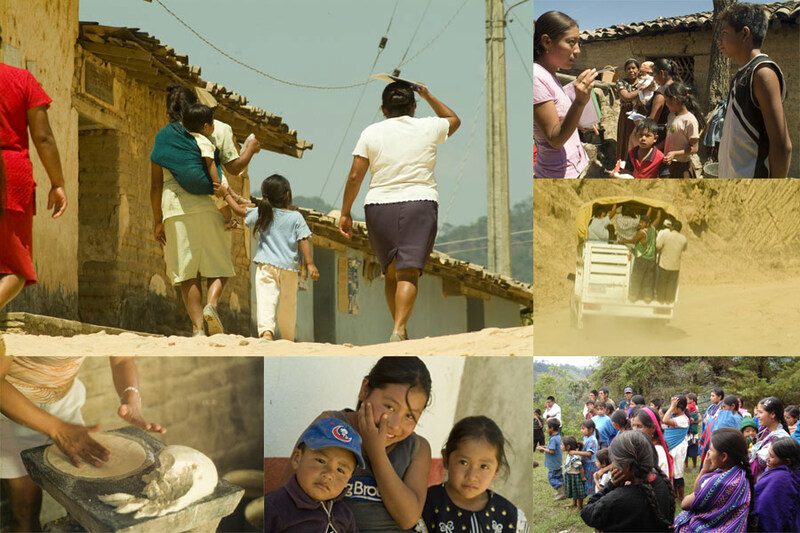 In Mexico, our support helped strengthen the field of civil society organizations engaged in migration policy and the protection of migrants' rights. Grantees provided concrete assistance to vulnerable migrants in Mexico (mostly from Central America) and helped spur specific policy advances. In addition, through the Regional Migration Corridor initiative, we supported regional dialogues and research; migrant rights and access to justice; labor protections and recruitment; and media. One region-wide study group focused on the need for understanding the U.S.-Mexico-Central America region as an increasingly integrated economic whole. Another study group examined the social integration of migrants returning from the United States to Mexico. In addition, a key focus of the regional corridor work was labor migration, with a specific goal of reducing abuse and exploitation in the migrant worker recruitment process. Under the Regional Migration Corridor initiative, we helped to strengthen the network of migrant-serving civil society organizations in the U.S., Mexico, and Central America and stimulated regional discussions between civil society groups and governments. 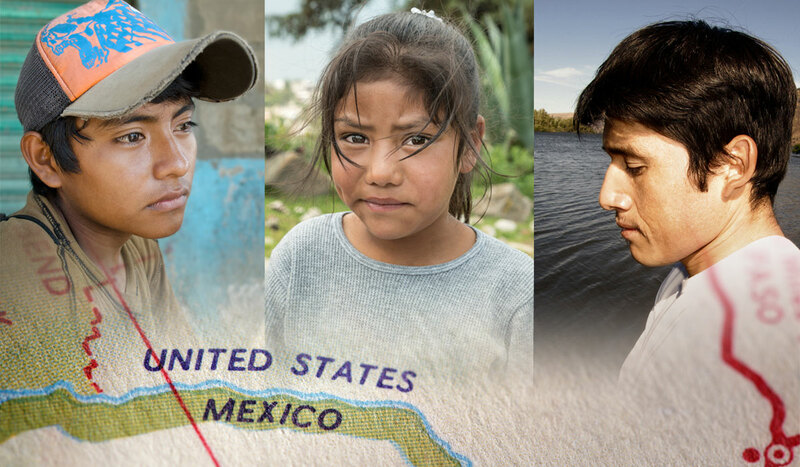 Through local casework and strategic litigation, grantees have helped victims and their families pursue justice for human rights atrocities related to migration. Grantees also brought attention to the needs of transnational migrants and their families. One project is developing state-level pilot programs for reintegrating return migrants in conjunction with Mexican state Offices for Assistance to Migrants. Grantees have helped raise the profile of labor recruitment in policy agendas in both the United States and Mexico, provided innovative practical assistance to labor migrants, and published widely disseminated studies on international labor recruitment. Finally, with the rise in children and families fleeing from violence and persecution in Central America, we approached the issue from a regional perspective, supporting research in the countries of origin and efforts to improve Mexico's humanitarian response to those seeking refugee protection. Our staff in the United States and Mexico coordinated closely to promote the efforts of organizations throughout the regional corridor. We considered migration to be a global issue and supported contributions to advancing international cooperation in this arena. We highlighted the need to protect forcibly displaced individuals who fall outside the scope of the global refugee regime. We supported civil society activities around prominent initiatives designed to protect migrants trapped in crisis situations, those displaced across borders by environmental or climate-related factors, and the planned relocation within their home countries of populations who are threatened by natural disasters and the impacts of climate change. Grants supported concrete operational guidance to governments, international agencies, and non-governmental organizations, which seek cutting-edge, actionable policy analysis and recommendations that will enable governments and others to prevent and respond to crises. These activities showed the possibilities for new forms of voluntary cooperation on migration – a policy arena in which governments zealously guard their sovereign prerogatives and thus resist binding treaty-based cooperation. Grantees contributed to the planning and execution of the September 2016 summits on refugees and migrants hosted by the United Nations General Assembly. A decade-plus of our engagement on migration drew to a close at the end of 2017. We left the field confident of our contributions to the advancement of empirical knowledge and principled advocacy that will continue to produce small but significant victories and will ultimately lead to a better world for migrants and the societies to which they contribute so much. We have been honored to work with so many effective organizations that continue to drive progress on issues related to migration and refugees.